Note: The piano curriculum is sequential, must be taken in order, and is designed to begin in the summer semester. Therefore, this class is NOT an introductory class, but rather a continuation of the summer and fall curriculums. If you were not previously enrolled in our piano classes, please visit our Introduction to Music at the Piano page. Families must purchase an approved keyboard for class use and home practice. 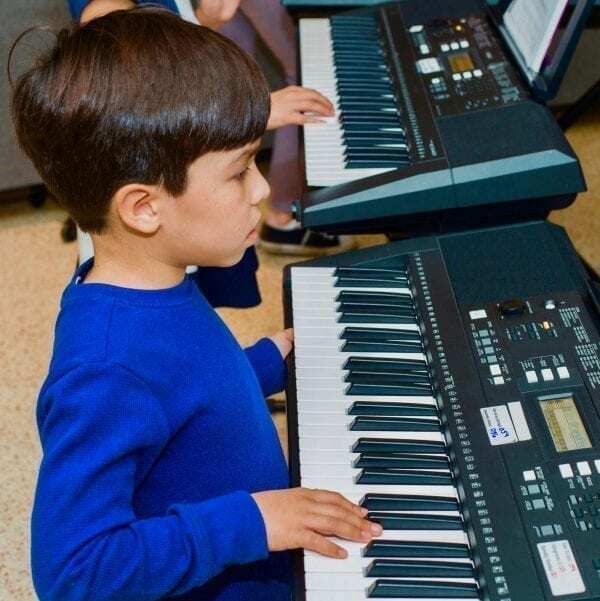 Description: Music At the Piano is a unique method for groups of young beginners based on an aural approach to musical literacy that provides a natural pathway to reading. This curriculum capitalizes on the children’s love of group music making to provide an introduction to piano playing, along with singing, composing, improvisation, transposition, and reading music. The parent/caregiver works alongside his or her child both in the classroom and at home. New songs and material will be presented each week, so regular attendance is essential. Children must complete each semester of Music At the Piano successfully in order to move to the next level.